How does your district handle classes that are very content specific? For example, I teach Honors/Pre-AP American Literature. This is a sophomore (with accelerated freshmen course) that has a pretty traditional literary movement focus, which includes several of the classics (The Scarlet Letter, Huck Finn, Of Mice and Men, The Great Gatsby, The Things They Carried). And while I feel I have made great strides over the years in terms of student driven lessons, focus on discussion and annotation, skill vs. content based assessment, the one area I continue to struggle with as I look to workshop is how to facilitate the choice. Do you have a similar class in your district? Are any of these texts still used as whole class works? As options within specific unit studies? Or is the year open to student choice throughout? First of all, while my district ELA coordinator would love for all teachers to move to readers/writers workshop, and he has introduced that idea through various means, many teachers are not there yet and some are determined not to budge. Like many other issues related to change in schools, they nod their heads and keep doing what they’ve always done. We know that sometimes this is best for kids (I’ve done the nodding and door closing, too), and sometimes it is not, which is the case when it comes to continuing to make all the choices in English classes at the expense of student readers. My own department manager reminds me often that we have to take our movement one step at a time. This is my first year on this campus, and while most everyone is making positive and impacting change. It’s slow, and I get antsy. 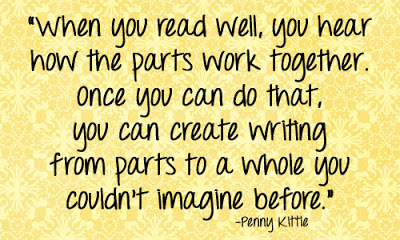 I’ve been doing readers/writers workshop with my students for seven years now, and I still work on refining plans, lessons, mentor text selections, mini-lessons, and more. Truly, workshop is constant motion, which I am sure, if you practice it, you already know. Many high school English classes are literature laden. All the lessons revolve around specific texts, mostly whole class novels, and sometimes teachers spend five, six or nine weeks reading and discussing that one text. Sure, they might include other instructional practices and activities, but the most common mode of writing taught is analytical (the least likely of all the modes of writing students will use in their lives after English class. Teachers, when was the last time you wrote an analytical essay for your job?). When we move to becoming classrooms of writers, teachers realize that if we want to practice other modes, read mentor texts, model the writing process, lead revision workshops, publish our best work, and truly live the lives of writers, we simply do not have time to devote class after class time to the study of one particular book. First, we read like readers. We practice comprehension strategies and discuss the meaning of the text. Next, we read like writers. We deconstruct the text and discuss how the author makes that meaning. In my AP class, we almost always talk about these texts via a Harkness discussion. Students do the thinking and speaking after I’ve done mini-lessons and modeled answering focusing questions. I’ve learned to trust that students will discover the elements and devices that I hope they will. Sometimes I have to prod, but they rarely never get there. The skill I need to teach determines the reading passages I select. That’s an opposite approach to how I used to plan when my teaching was driven by various pieces of literature. And now, I have time to talk about books, allow students to select books they’d like to read, and confer with students about their reading. 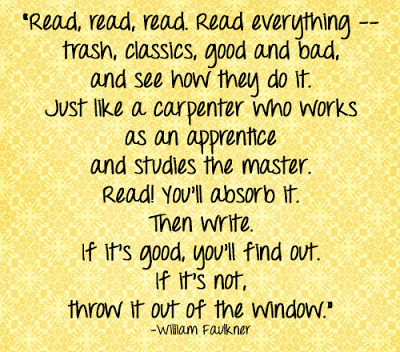 They read tons more than they ever did before, and they become much more effective writers. Win/Win. Watch for Part II of my response soon.